Sometimes called the Monkey Nebula this emission nebula is located in the constellation of Orion. It is 6400 light years from earth. In the lower left of the image is another faint nebula called SH2-247. 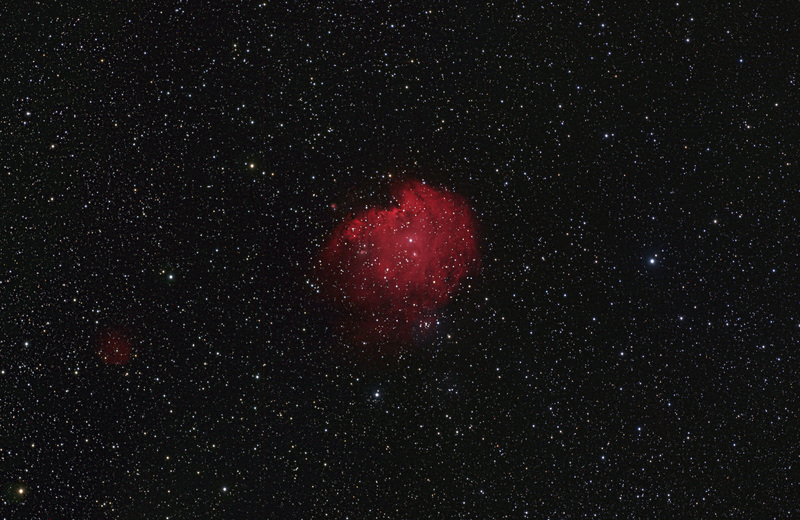 This image was exposed for 60 minutes through a hydrogen-alpha filter and for 90 minutes through RGB filters. The photo was taken February 6-7, 2008.